City of Carlsbad v. ISOP, et al., $6.3 million settlement in action based on insurers’ refusal to defend and/or indemnify under Municipal Liability Insurance policies; Suarez v. Roe Insurance Co., $6 million settlement for insurance bad faith based on insurers’ wrongful withdrawal of defense and refusal to settle; Major v. Western Home Ins. Co., (2009) 169 Cal.App.4th 1197, $1.1 million verdict in action arising out of insurance carriers refusal to promptly and fairly pay benefits to victims of the 2003 Cedar Fire. 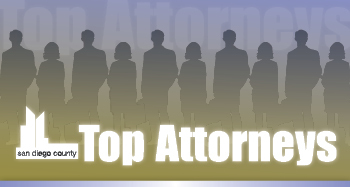 I have achieved numerous six and seven-figure results through both settlement and trial on behalf of his clients. I devote the largest part of my practice to the representation of individual and corporate clientele against insurance companies nationwide, and have been involved in a variety of complex business litigation and class action lawsuits involving insurance companies. Member, Consumer Attorneys of San Diego; Member, San Diego County Bar Association; Chair, Insurance Bad Faith Section of the San Diego County Bar Association. For 22 years I was a partner of nationally recognized trial attorney and insurance expert Harvey Levine. He taught me most everything I know. Now I endeavor to pass on his teachings to the young attorneys who work for me and/or cross my path. I grew up in Detroit, where I worked from a very young age for my father, who had a small construction business. I attribute my strong work ethic and high moral standards to my father’s lessons. My mother taught elementary school for 35 years. She encouraged me to look beyond myself and devote myself to the service of others. I have a wonderful wife, Melissa, who is a nurse, and two great sons, Owen, 18, and Oliver, age 7. They remind me to be the very best person and example I can be.